China Seminar — Xi’s Challenge: Can China Avoid Economic Stagnation? Xi’s Challenge: Can China Avoid Economic Stagnation? All rapidly developing countries eventually face what economists call a “middle income trap” when they try to move from resource-driven growth dependent on cheap labor and capital to growth based on high productivity and innovation. Few counties have made that transition, and China’s chances were heavily compromised by the unprecedented growth of private and public sector debt in the past 8 years. Will Dynamic Zhonguo become the Muddle Kingdom? People around the world have followed the U.S. presidential election with great interest because the results will have an impact extending far beyond America’s borders. There’s been especially keen interest in China, a nation that’s often a hot topic in presidential debates and whose future is tied to what happens in the U.S.. Some Chinese have watched the election campaign primarily for entertainment, but many others have tried to figure out what the election will mean not only for the U.S. but China as well as the rest of the world. China Daily political reporter WANG Xu shares his perspectives on the U.S. presidential election and the future of Sino- U.S. relations. Language and Literature (2012) and a M.A. degree of International Journalism from Renmin University of China (2014). From 2014, Wang became a correspondent of China Daily in Beijing. He covered diplomatic activities of Chinese president and premier, including President Obama’s 2014 state visit to China and President Xi Jinping’s 2015 state visit to U.S, as well as the China-U.S. Strategic and Economic Dialogues in 2014 and 2015. He is currently with University of Hawai`i’s Parvin Fellows Program. 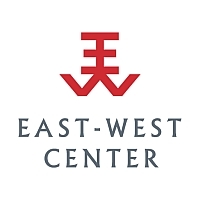 To RSVP, please call 944-7111 or email friends@eastwestcenter.org. Lynette Lo Tom wrote the fourth cookbook in the Honolulu Star-Advertiser’s series on ethnic foods in Hawaii. Using dishes from good family cooks; her mother, grandfather and grandmother, she put recipes to their favorite foods. In her research, she compared Hawaii-style food with that in Hong Kong, Taiwan, Singapore and specifically in Zhongshan, China. She visited those locations in her quest to find out if there is a unique Chinese-Hawaiian food (the answer is yes). She earned a BS in Journalism with honors from University of Colorado at Boulder, attended graduate school at University of Michigan, Ann Arbor and earned an MBA degree from the University of California at Berkeley. She is a graduate of Punahou School. Returning to Hawaii, she worked in radio journalism at KHVH Newsradio 99, was a general assignment editor and then reporter at KGMB – TV. At Hawaii Public Television, she was a reporter and anchor. She also served as public information specialist at GTE Hawaiian Tel and marketing manager at Hawaii Public Radio. Before writing the cookbook, she oversaw 15 employees at Bright Light Marketing, her public relations and marketing company she started 25 years ago.